HOME - Thermal Engineering Ltda. In view of our customers' growing need for "turnkey" solutions, we decided to complement our engineering services with the representation of equipment, the realization of after-sales services and the manufacture in a master. 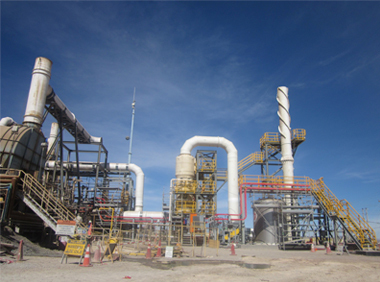 Thermal Engineering Inc. was founded in 1997, with the idea of developing engineering projects and supply consultancy services in energy and thermic processes areas. With the increase of the need of our clients for counting with “turnkey” solutions, we decided to complement. our engineering services with the representation of equipments, the carrying out of after-sales services and manufacturing in our own metal shop. 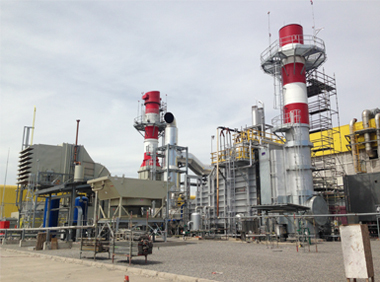 Through the years we have been able to form a solid team of professionals, that allow us to deal in a very safe way with any project linked to thermal processes. 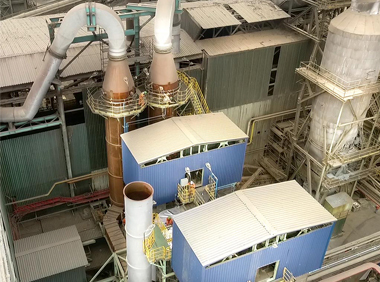 The recovery boiler supply was contemplated, which allowed the generation of 30 ton / h of steam from the heat present in the combustion products discharged by a gas turbine of 25 Mwe. Supply emission control system particulate material, sulfur oxides and arsenic for copper smelting. 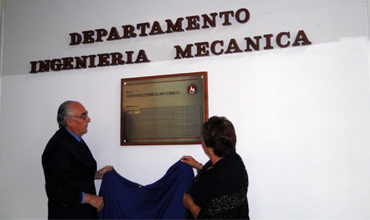 The year 2012 Thermal Engineering succeded in agreement with the University of Concepción, to deliver the scholarship of academic excellence, Juan Pablo Bancalari Cornejo, to students of the Civil Engineering of the University of Concepción. The students benefited were: Eduardo Fernandez (2012 and 2013), Tobias Hellwig (2014) and Sabrina Rayo (2015 to date). 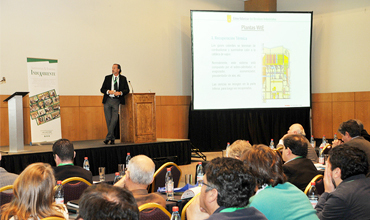 Thermal Engineering participates in the Seminar, presenting the theme ¨Conversion of Household Waste in Electric Energy¨. 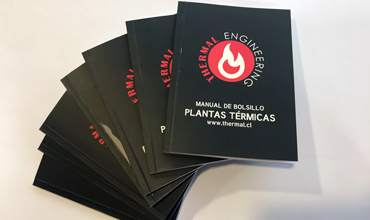 Thermal Engineering publishes "Pocket Handbook for Thermal Plants". Project Manager and Partner of Thermal Engineering Ltda. Taking apart every object that would came to his hands was Juan Pablo’s favourite hobby when he was a child. This showed that since he was very young, he was interested in understanding how things work. Therefore, it’s not strange that he decided to study Mechanical Engineering in his hometown Concepción. And it was during his university years that he chose to get specialized in thermofluids, in which he continued to grow as Project Manager in Thermal Engineering. Before taking part in the foundation of this firm, he worked for the boiler manufacturer H. Briones and later for Nestlé, where he was in charge of managing the first project of emission compensations and collaborating with the Environment Commission of Sofofa. His efforts were mainly for Thermal Engineering to keep growing in its current fields of action, being a relevant actor encouraging the efficient management of energy. On the other hand, Juan Pablo was founder member of the Chilean Association of Alternative Renewable Energies (In Spanish, ACERA) and had the firm objective of promoting the use of cleaner energy sources. His partners and workmates, watched him with great admiration as he worked and fought for this common project with great professionalism, ethic, perseverance, enthusiasm and with his characteristic human quality. Likewise, we saw him fulfilling himself and march on very happy and committed in his personal projects with his family, that was a big motor in his life, his wife Paulina and his children Tomás, Sofía and the upcoming baby (Juan Pablo Jr.). Today, your workmates had to say goodbye to you, but we hope to find you some day in some part of the universe. In the meantime, we will walk motivated by the memory of your great professionalism and ethic, to make this common dream, Thermal Engineering, continue growing.